Pat Dodd's 5 Hot Tips to Staying COOL! Don't change the settings. When it’s HOT leave your thermostat at one setting that you’re comfortable with. If you try to raise the temperature when you leave for work, you’re asking your air conditioning system to try & overcome all the heat that’s accumulated during the day in a couple of hours, it’s not going to happen. You’ll end up using a lot of electricity trying to “catch up”. In the long run you’ll spend more money by raising your thermostat. Get regular service. 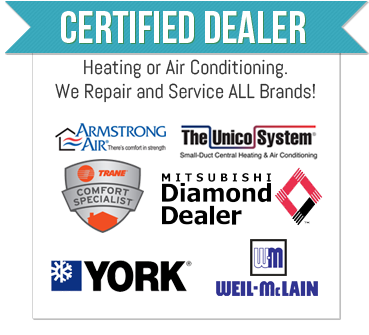 Have your air conditioner serviced by a qualified heating/cooling contractor. A clean air conditioner will use less energy and will probably prolong the life of your compressor. Check your condenser. If you do notice that your home is uncomfortable, see if your furnace blower is running and check the outdoor unit. Is it blowing air out of the top? If the air coming out of the top of the condenser isn’t very warm or hot, your compressor may not be working properly and you need a service call. MOST IMPORTANTLY, DON’T WAIT. If you think there’s a problem with your air conditioning, you’re probably right. Call your heating/cooling contractor right away! Don’t wait. Most contractors will try & walk you through a couple of things you can check before they have to send a tech to your home. Remember a broken air conditioner needs to be serviced, it cannot fix itself. Call us at 866.848.9126, or e-mail if we can be of service in any manner.